Should it be “Passover” or “Easter”? 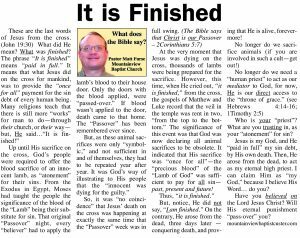 | Should it be “Passover” or “Easter”? – Who is Israel? Should Christians celebrate the Old Testament Passover, or the modern “Seder”? 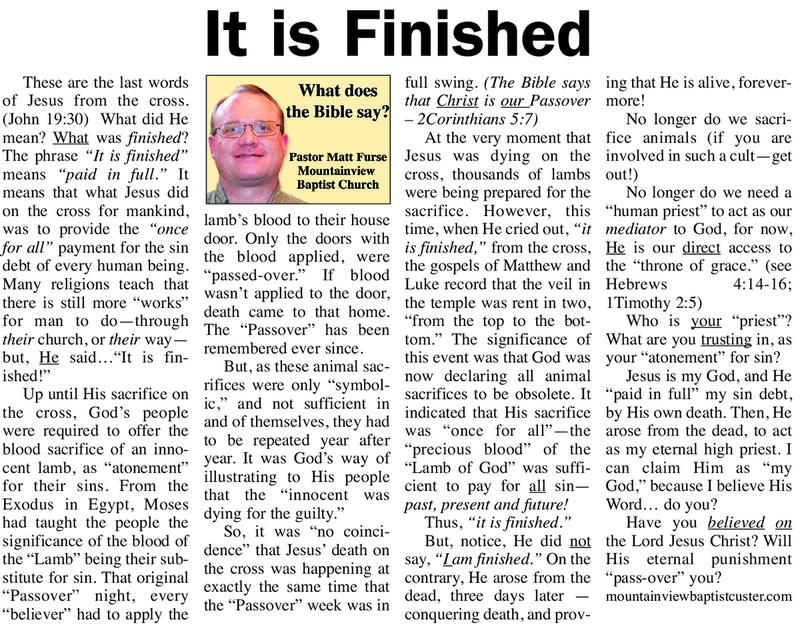 Are we to go backwards to Old Testament animal sacrifices, or are we to look to the Lamb’s sacrifice (Jesus Christ on the Cross), and forward to His coming again? What about the book of Hebrews? Does it allow for Christians to return to an OT passover?? 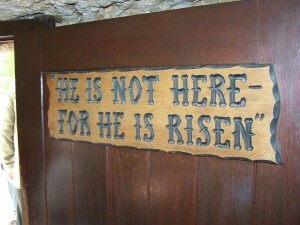 “Christ our passover” = Easter! The fact that John writes, “Jews’ Pascha (πασχα των ιουδαιων)” indicates that there was a need to qualify the word “Pascha” for the immediate audience of John’s Gospel. Such a phrase would be redundant unless there were already a distinction between a “Jew’s” Pascha and “another” Pascha. 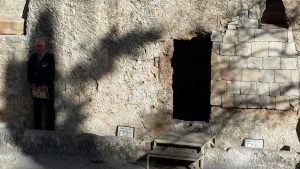 Apparently within the first century, Christians had already appropriated the word “Pascha” to refer to the Christian celebration of the resurrection. 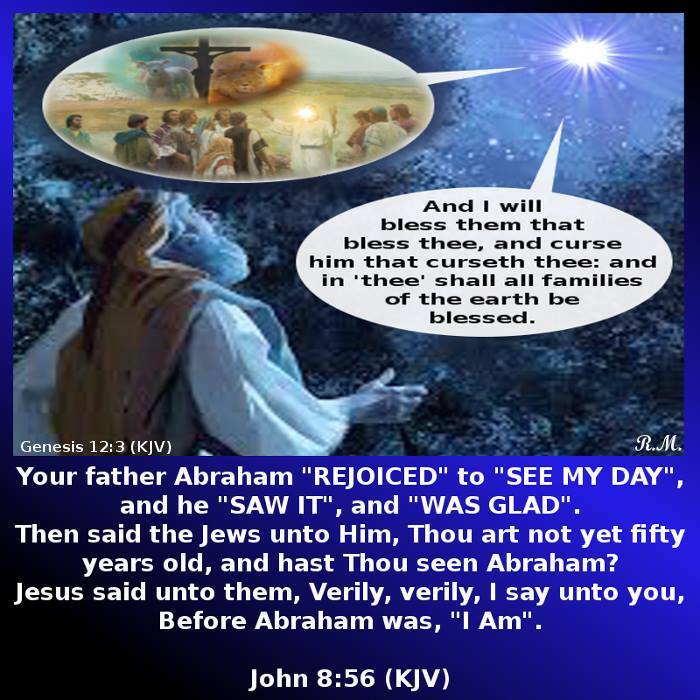 Jesus clearly transitioned the Old Testament “passover” supper into the “communion” supper of the New Testament! There are those who claim that “Easter” is a pagan holiday and is also known as “Ishtar”. That is complete nonsense! Easter and Ishtar have nothing in common. However, the problem that we have, today, is that people are intertwining eggs and other objects into Easter, which those things should not be observed, for they are a practice of pagan rituals. Today, those who claim they are “keeping Passover” are liars. They teach others to violate God’s laws concerning His feasts by HOW they are to be kept. These people who claim they are keeping the feast of God will speak against those who don’t— also accusing them of teaching others to brake the commandments— however they are doing that very thing. Again, NO-ONE, today, can keep the feast Scripturally — being outside of Jerusalem, without an earthly, Aaronic Priest. And, you CAN’T kill your lamb IN YOUR GATE (home place – Deuteronomy 16:5-6)… And, it has to be PURE, without blemish (Exodus 12:5). So, buying your leg of lamb at the store is not even close to being Biblical. Jesus establishes what is called “the Lord’s supper” also known as “communion”, or “the Lord’s table”, which is to REMEMBER the Lord’s death, till He comes again. This is in REPLACEMENT of the Passover, for the True Lamb was slain, and wonderfully He arose from the grave! And, this resurrection is known, today, as Easter. Was Willian Tyndale, Myles Coverdale, the Bishops Bible, the Matthews Bible, The Great Bible, Geneva Bible and the King James Bible supporting the “pagan feast” idea? 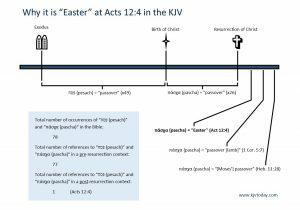 Why is it that William Tyndale used Easter 23 times, The Great Bible 15 times, Coverdale Bible 24 times, Matthews Bible 10 times, Bishops Bible 2 times, the old, Anglo Saxon Gospel of Matthew 3 times, Geneva Bible 1 time, and the King James Bible 1 time? “Easter” in the Old Anglo Saxon (old English) dictionary is for the word Passover. The Oxford English Dictionary lists many early English literary sources that employed the word Easter to refer to the Resurrection. ALSO, the word “Passover” was not used until William Tyndale translated the Old Testament— he is the first user of the word. 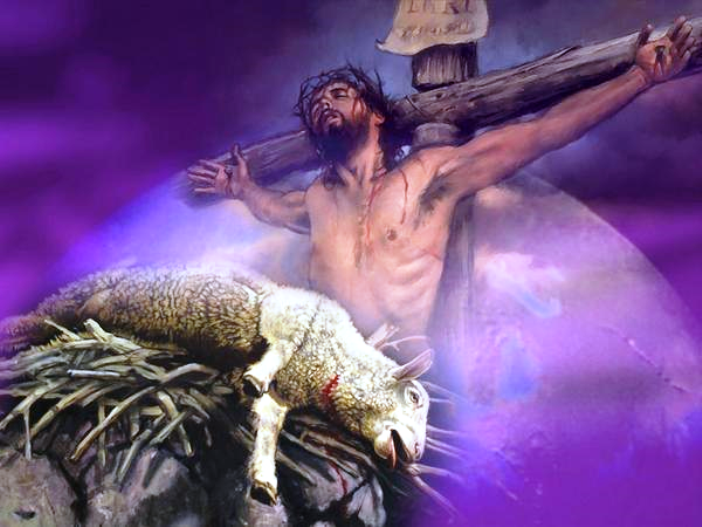 Tyndale used “Easter lamb” for the Greek word “pascha” (Passover). Pascha means a sacrifice of an animal. 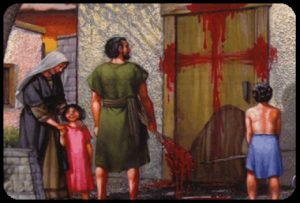 PRAISE GOD, THE TRUE LAMB HAS BEEN SLAIN AND I DON’T HAVE TO “REENACT” IT, BUT INSTEAD, I REMEMBER CHRIST HAS ALREADY FULFILLED IT! And he took the cup, and gave thanks, and said, Take this, and divide it among yourselves: For I say unto you, I will not drink of the fruit of the vine, until the kingdom of God shall come. And he took bread, and gave thanks, and brake it, and gave unto them, saying, This is my body which is given for you: –—>this do in remembrance of me. 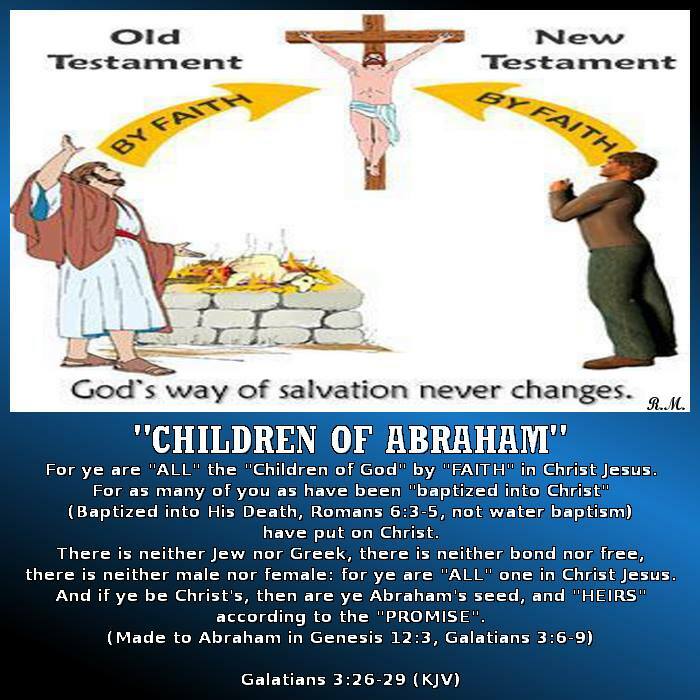 Likewise also the cup after supper, saying, This cup is the new testament in my blood, which is shed for you. For I have received of the Lord that which also I delivered unto you, That the Lord Jesus the same night in which he was betrayed took bread: And when he had given thanks, he brake it, and said, Take, eat: this is my body, which is broken for you: this do in remembrance of me. After the same manner also he took the cup, when he had supped, saying, This cup is the new testament in my blood: ——>——>this do ye, as oft as ye drink it, in remembrance of me.